When two things work well together, that's synergy. Choosing the right pasta to go with the right sauce, and the perfect topping to cap it off, well, that's synergy. It's the difference between a classic dish and a failed experiment. Sure, a new twist can be exciting - but the old standbys are still around for generations because they work. 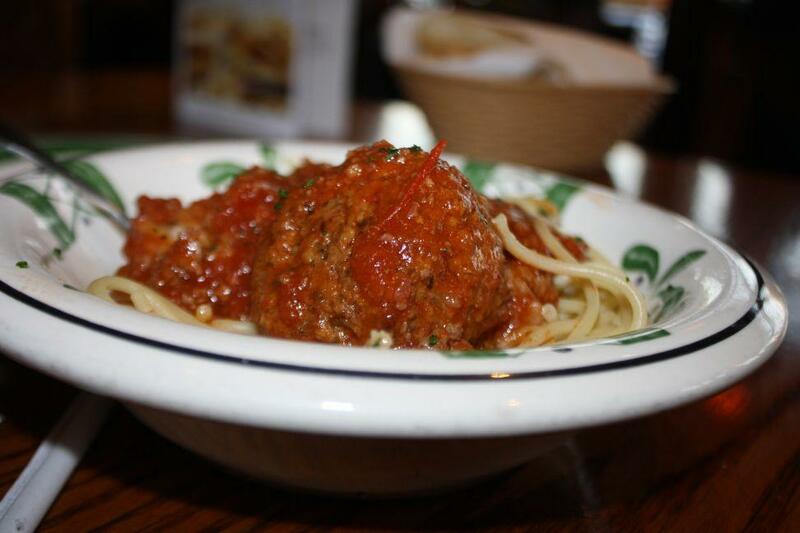 Consider this dish - the meat in the Spicy Three Meat sauce is actually identical to the meat that the meatball is formed from. This creates a natural continuity and makes the dish feel interconnected, intentionally designed - it doesn't "feel" like a Pasta Bowl dish of three random ingredients slopped on top of one another. Pictured here is Synergy - it just works!